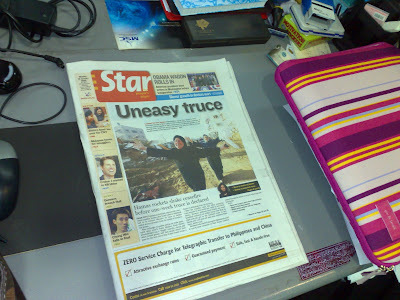 The Star .. Just for me.. everyday, after i punched, there'll be a copy of The Star on my desk..
Like my post...? Come, join us! click "Follow this blog"
Don't forget to enter my-alia.com contest! sapa sponsor free newspaper ni? haha.. mana ada free! org bayor la!